From graphical design to batch printing and encoding. Each identity or access control application has its own requirements in term of budget, security, embedded functions or storage capability. That’s why we provide a range of identity objets from simple biometric container up to full secured transactional smartcards. BioSeal is a high density barcode that can be printed on a standard plastic card. 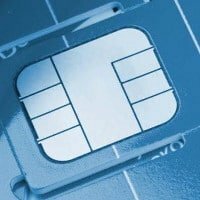 The high-end smartcard for PKI applications with fingerprint on-card matching. Place your text fields and images anywhere using guidelines. Import your images and place them anywhere on the document. Personalize front and back sides of your identity document. 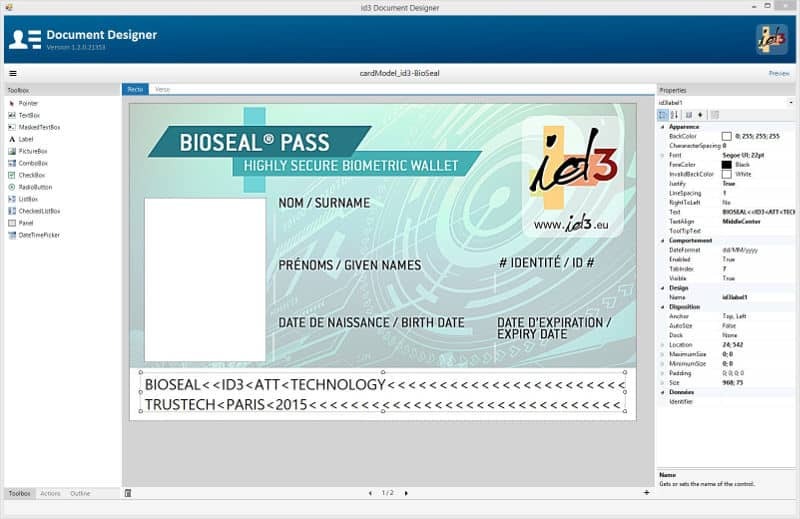 Bind any biographic or biometric data to a document item (text, image, barcode). Generate barcodes (QR code, PDF417, code128, etc.) from any data field in the database. Add some scripts in the document to change the appearance of the document. Use the integrated biographic search engine to browse the identities in the database. Select a document and preview the result directly in the interface. Multiple cards supported: Mifare, DESFire… Encode your cards with an external reader. 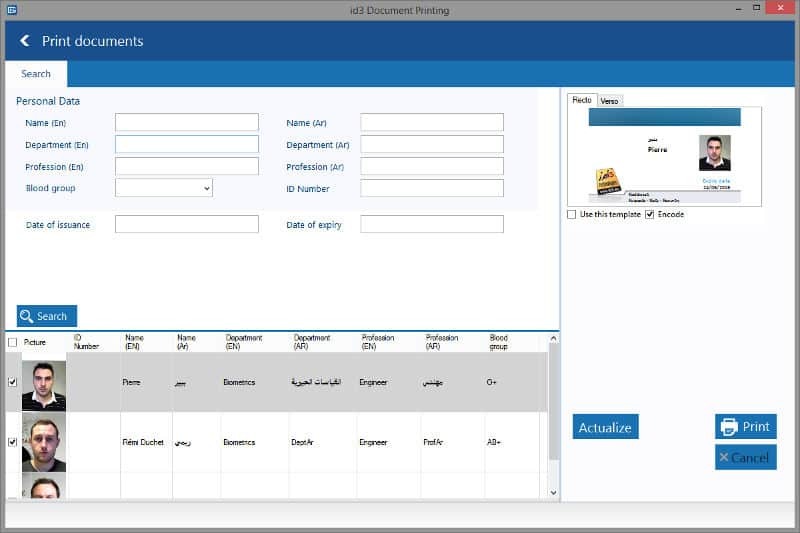 Select one or multiple documents to print and encode simultaneously. We support the major card printers, such as Fargo, Evolis, Ixla, etc. Configure reports according to your needs. Print or export to PDF.